Live from the Royal Albert Hall, London, Czech Philharmonic under Jiri Belohlavek. Janacek: Overture (From the House of the Dead). Dvorak: Cello Concerto (with Alisa Weilerstein). 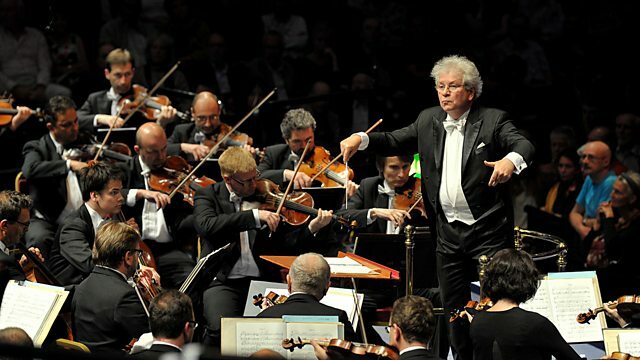 The Czech Philharmonic Orchestra and Jirí Belohlávek live at the BBC Proms with music by Janacek, Beethoven and Dvorak. The evening opens with the authentic Czech soundscape of Janácek, in the overture from his final opera From the House of the Dead. Recent recordings of the Elgar and Dvorák cello concertos have propelled young American cellist Alisa Weilerstein into a fully fledged musical star. She makes her second visit to the Proms with the Dvorák - one of the great Romantic concertos. The composer sets his soloist against an unusually prominent orchestra, here the forces of the Czech Philharmonic, returning under Chief Conductor Jirí Belohlávek. After the interval Belohlávek directs Beethoven's 'apotheosis of the dance' - Wagner's expression referring to the rhythmic verve of the Seventh Symphony. This Prom will be repeated on Monday 8th September at 2pm. Orchestra: Czech Philhamonic Orchestra. Conductor: Jiří Bělohlávek. Ensemble: Czech Philharmonic. Conductor: Jiří Bělohlávek.